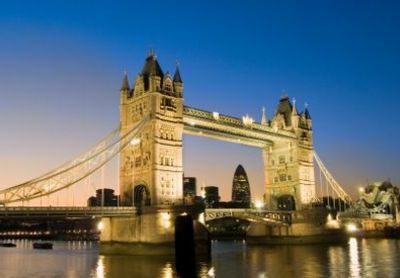 The largest city in Western Europe, London has been and remains one of the world\'s most influential cities, a capital of culture, fashion, politics and commerce. With so much to see and do, it can be quite overwhelming for the first-timer – even a month\'s vacation (and a bottomless bank account) will only scratch the surface of this metropolis. To explore it\'s many wonders, tourists should begin in the very centre, fanning out as time and budget permits. Treat it like a historical journey, from the Roman epicentre (now the Square Mile), on to the former royal hunting grounds of what has become Piccadilly, and back over to the east end, which is shifting before our eyes from the Victorian slums of the 19th Century, developing its own brand of gentrification. Every era is accounted for via stunning architecture and fabulous wealth in Mayfair, or the lack thereof in Tower Hamlets. From the modest clock tower in the affluent serenity of Golders Green and Hampstead, to the monolithic Big Ben right in the heart of the city\'s power base, London is its own timepiece, counting down the centuries of Western Civilization. And we haven\'t even crossed the river yet. The 32 boroughs of London each have their own charms but, let\'s face it, your average Nokia-clutching interloper isn\'t going to Brent unless they\'re forced to find lodgings there (a distinct possibility given the outrageous cost of accommodation in postcodes beginning with a compass point). The most obvious starting point is the River Thames. For the medieval view take a boat trip. It\'s somehow just as compelling as the London Eye, from which you can take in the entire city in all its obscene glory. Of course, the Tube will be useful for reaching the outer limits, but try to negotiate as much as you can by foot. Before beelining to the famous indoor institutes and public galleries, consider the city a living museum – the best free museum of them all. Take a day to walk through the magnificent parks Hyde, Regent\'s and St. James\', through the opulence of Mayfair, cutting a swathe across Whitehall to see the Houses of Parliament, before u-turning toward Trafalgar Square. Fight your way through Charing Cross and the Strand before cutting down to Embankment. Segway into the financial district at Blackfriars Bridge, past the Old Bailey and on to St. Paul\'s. Take Aldersgate up to the Barbican Centre (marvelling at how dystopian the 60s notion of utopia was) and then make your way over to Shoreditch High Street, where \'The City\' goes back to being plain old \'the city\'. If you\'ve not dropped dead by this point, you have earned a drink – and perhaps a curry – in Brick Lane. After a night\'s rest, get up and start all over again in a different direction. You can walk, eat, drink and muse in this manner for weeks on end without ever setting foot in the British Museum, and you\'ll end up having \'done\' London with greater aplomb. And you still won\'t have crossed the river. Hiring a car from one of London\'s airports is a good way to get into the city, and it gives you the option of escaping the city to see the surrounding areas. Of particular interest is the south coast – Brighton is only an hour\'s drive away, and is hugely popular with Londonian expats. If you spend more than a week in the capital, you will be exhausted – a couple of days away from the madness is advisable. Just enter your pick-up location into the search form to browse our wide selection of cars for hire in and around London.